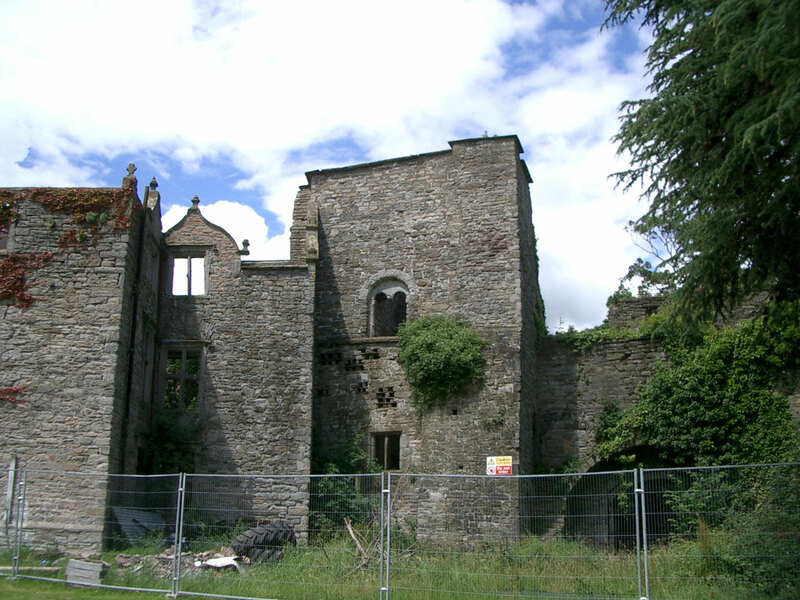 The castle was probably started in the early 12th century, with the curtain wall added around 1200. 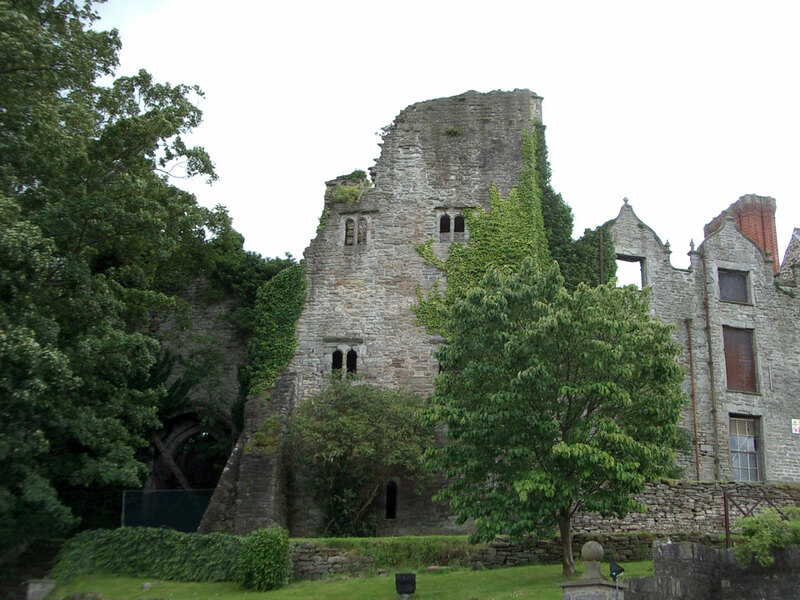 The castle and town were burnt down in 1216 but rebuilt and a town wall was added in the mid 13th century for extra security. 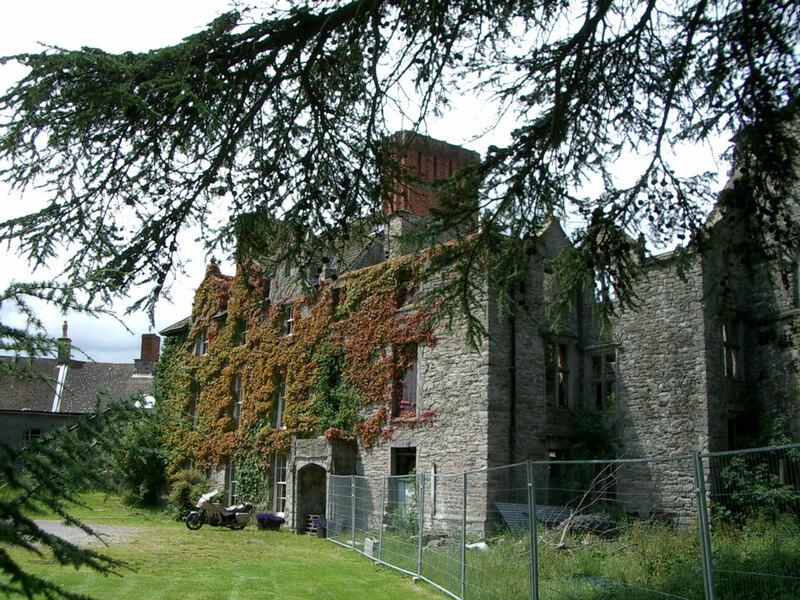 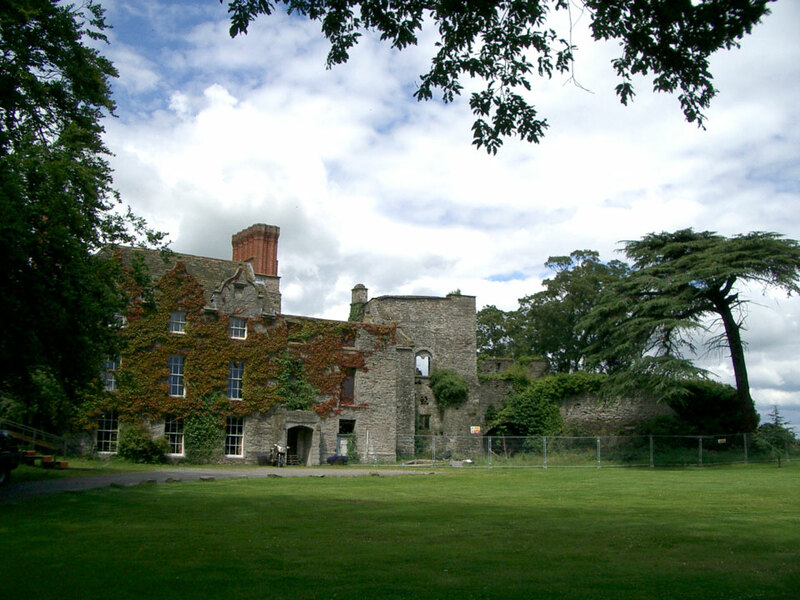 After the Civil War most of the curtain wall was removed and a new house built in the grounds. 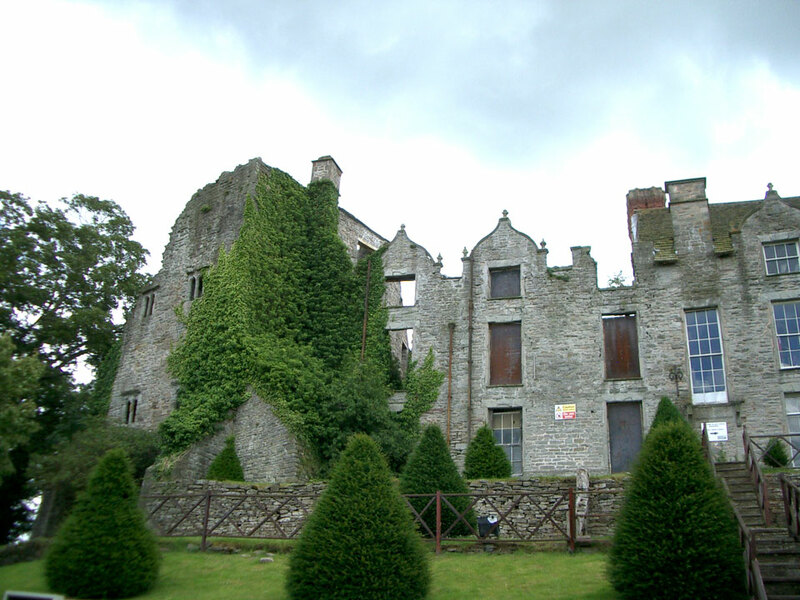 The western part is still in use as a book shop, even though the castle has suffered two fires in the last 80 years. 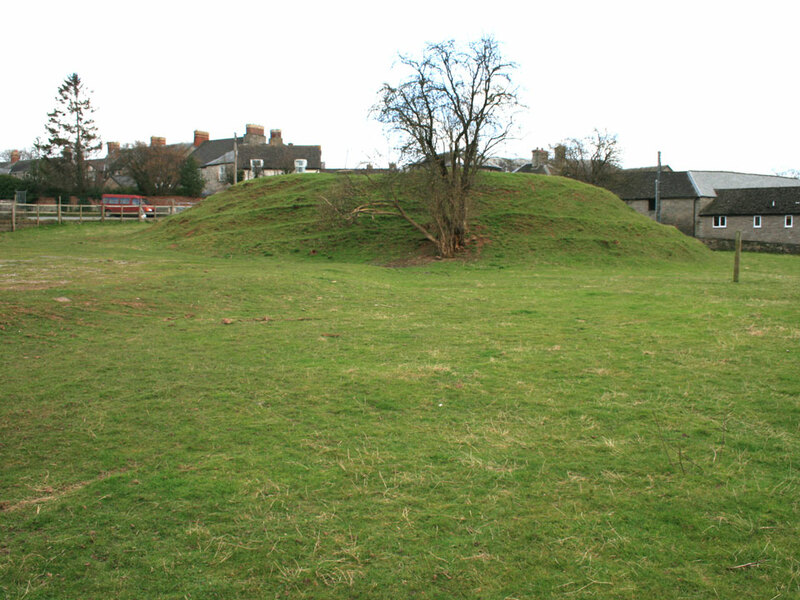 The town walls were demolished in the 18th and 19th centuries. 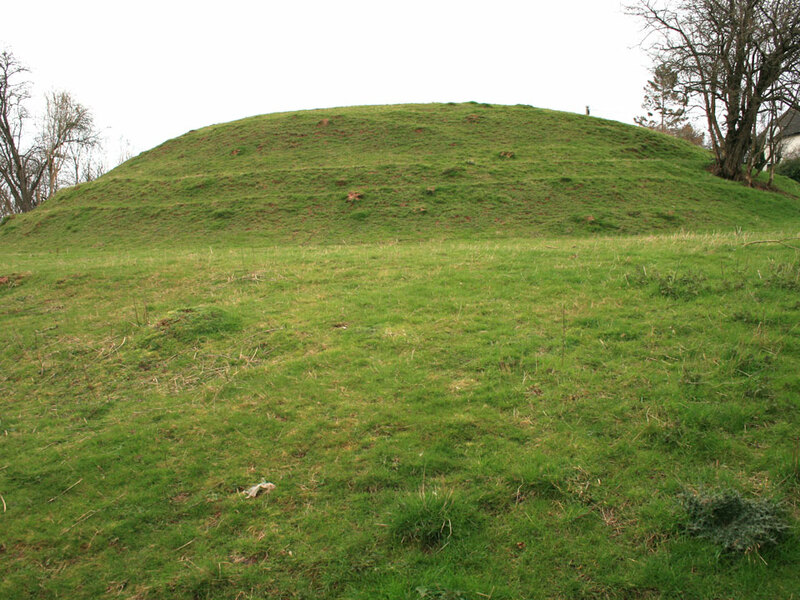 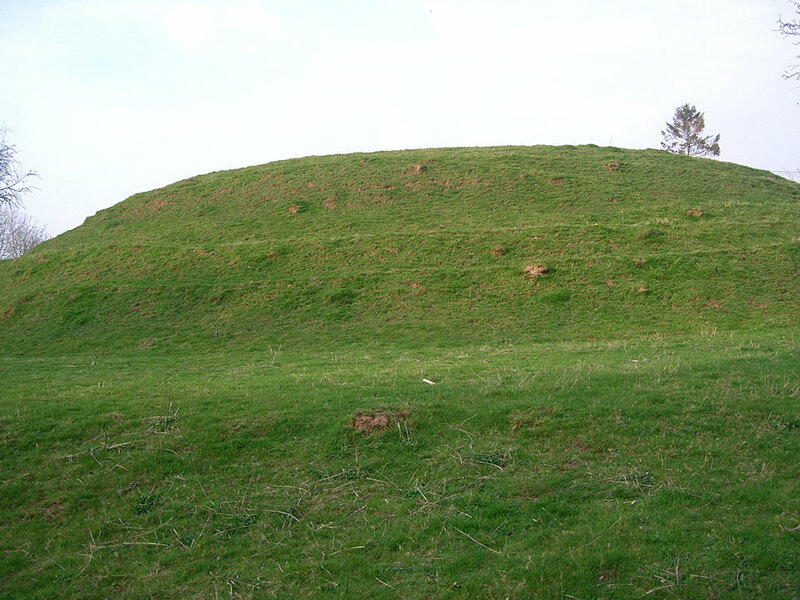 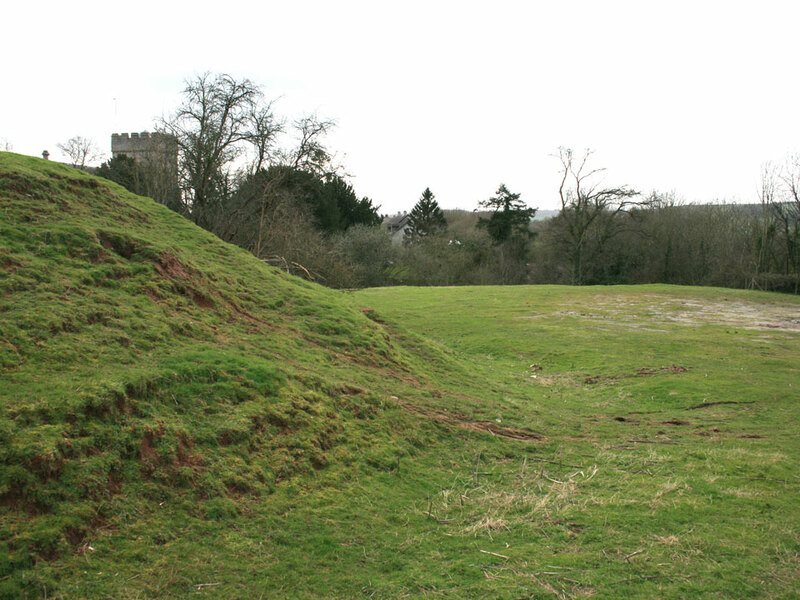 Close by, towards the river, is a motte from an earlier castle - see photos below.